With the 2019 CIAC Boys Basketball tournament set to tip off, here’s a look at five impact players to keep an eye on. The FCIAC Player of the Year led the Eagles to the regular-season championship. He’s had some high-scoring games, a buzzer-beater against Ridgefield, and another last-second, winning shot that was waved off. Can he put Trumbull on his back and make a run in a loaded Division I field? Had huge shoes to fill when Mikey Buscetto departed, but Brennan has run the show all year long for the Lancers. And in the team’s biggest game, Brennan showed up big with 25 points and numerous plays that didn’t make the boxscore. Maybe the most important player in Division II. Has carried the team throughout the season. He helped the Tigers win their second FCIAC tournament title in the past three seasons. Senior guard can score against anyone and can be a factor on the other end of the floor as his defense against Trumbull’s Timmond Williams in the FCIAC semifinals can attest to. Arguably the top big man in the SCC, Godfrey impacts the game on both ends of the floor. That impact could be good enough for the Rams to make an impressive run in Division II. He hit the miracle 3-pointer at the buzzer to help give the Bulldogs the league tournament title, topping Immaculate. 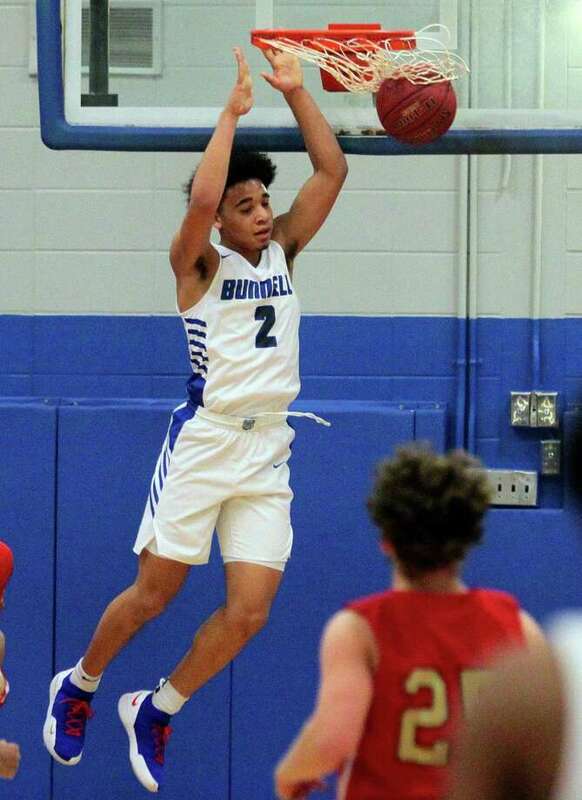 He is already Bunnell’s all-time leading scorer as a junior with over 1,500 points. Yes, Edwards has been almost impossible to stop this season. Now he tries to lead Bunnell deep in Division II from the No. 7 seed.